DAVID LE/Staff photo. 3/4/15. 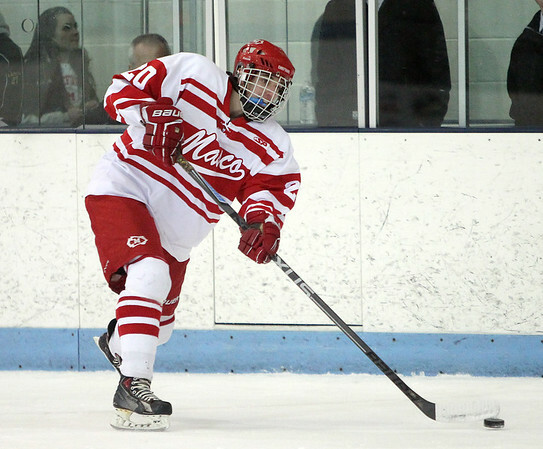 Masco senior defenseman Connor Whiffen fires a shot from the point against Concord-Carlisle. The Chieftans fell to the Patriots 5-1 in the D2 North Semi-Final at Chelmsford Forum in North Billerica on Wednesday evening.